As one of Call of Duty’s most accomplished players, Crimsix is nothing but a highlight reel. His career has spanned the rosters of legendary teams, countless victories, and a Call of Duty Championship. Highly methodical and almost impossible to tilt, the Crimbot has made full use of his steely nerves over the years to dominate clutch situations and help his team achieve one success after another. 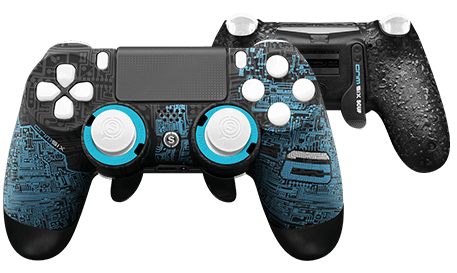 Favorite SCUF Feature: The left paddle to jump with ability to leave thumb on the thumbstick. 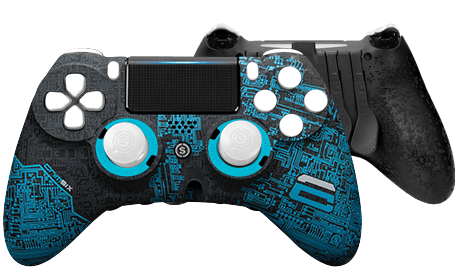 Based on the original blue and blue Crimsix SCUF, the Crimsix LE SCUF features the same circuit board design in a fluorescent green reminiscent of the iconography of both OpTic Gaming and SCUF itself. 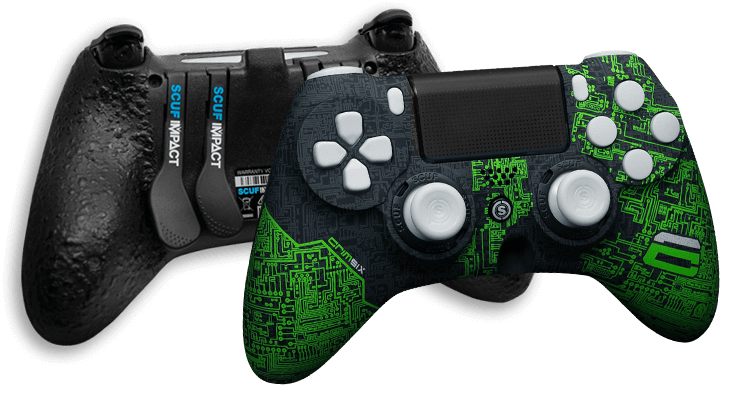 The Crimsix LE SCUF is available for SCUF IMPACT, but only for a limited time.